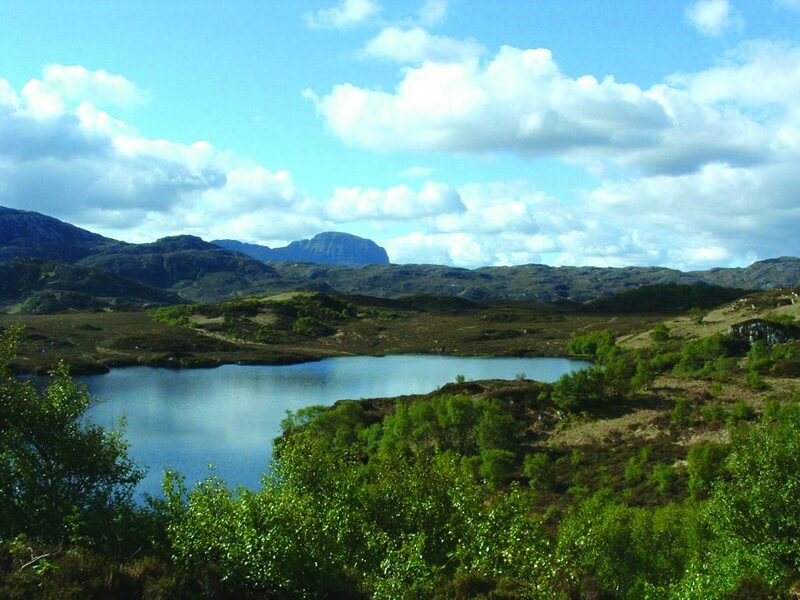 The Little Assynt Estate boasts a number of formal designations, amongst them the Assynt Lochs Site of Special Scientific Interest (SSSI) and the Loch Beannach Islands SSSI. 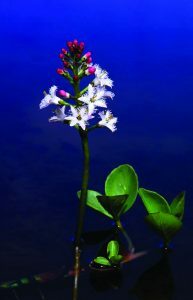 The dark waters of the lochs are home to exotic-looking water lilies, with earlier flowers like bogbean in shallower places. Brown trout are found throughout, sometimes with eels and sea trout, all pursued by otters which are surprisingly numerous. 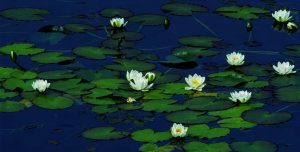 An important resident is the freshwater mussel, which may live for up to eighty years and, among the birds, divers (both black and red throated) nest on the shores of some lochs. Beautiful Loch Beannach is, in a way, the heart of Little Assynt. Its wooded islands are an important remnant of woodland which once extended over much of the adjoining countryside giving a covering rich in ground flora.